Ok, let me say that I’m not really taking credit for losing three pounds since yesterday. 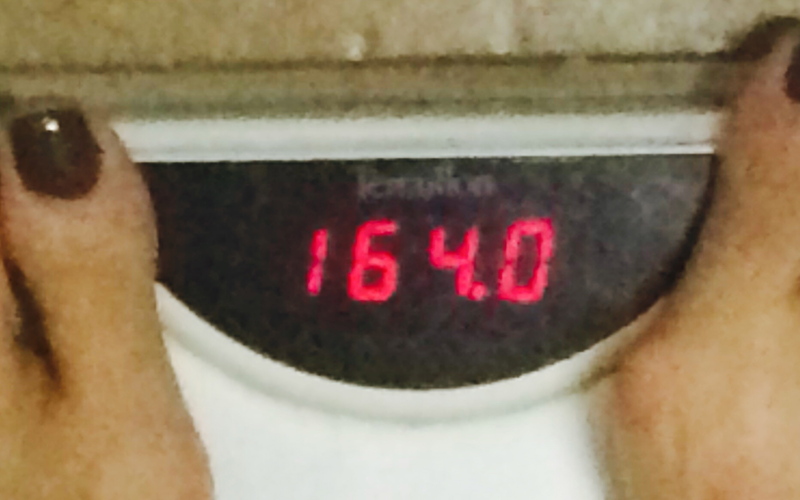 Truth be told, I’m hoping I didn’t actually “own” the 167 pounds to begin with. You know how that goes…you lose weight one day, but you don’t actually “own” it until you can maintain it for a bit. For me, I don’t always own a weight gain. The trouble comes when it creeps up, you hover there, and THEN own it. My best guess…I don’t own 164 either. That all said…it is going in the right direction. I burned some good calories yesterday, and am a little excited about all these mini “projects” I have for myself! My diet was OK yesterday. I default to eating too little during the day, and too much in the evening. I can see myself letting that happen this go around. I was a bit guilty of it yesterday (healthy dinner, and then a bit more cleaning out of the fridge…) and today (not much to eat today, and famished as I type). My food choices have been healthy (thank you, Thanksgiving Turkey! ); portions could be a little more controlled. And now to the running. Good. Golly. I was sore this morning! Really feels like I am training for a marathon and it’s the Monday after a Sunday long run! As I like to say to clients…”If weak is all you are, weak is easy”. Weak and out of shape is pretty easy to fix; injuries and”special cases” are not always so easy. So I’ll take easy, I’ll take weak. I did about 45 mins of yoga with my Ninja-in-Training today. As much as one hip was threatening to cramp, I sustained my effort until his shoulders gave out. I was secretly happy for me, not so happy for his shoulder “weakness”. 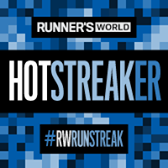 I could stand to feel a little bit more like a “hot streaker”! Then I went out for my (at least) one mile run. Warm up mile, Measured 1 @10:33, Walk 1.5 more. Total distance 3.5 miles @12:10 pace. Right now this feels like a fun project. Here’s hoping for a good December streak! This entry was posted in The Decemberist and tagged #rwrunstreak, Decemberist Diet, exercise, running, workout. Bookmark the permalink.